The Morgridge Institute for Research, a private, nonprofit biomedical research institute affiliated with the University of Wisconsin-Madison, announced today the appointment of Dr. Brad Schwartz as chief executive officer. Schwartz, an expert in blood coagulation and bleeding disorders, is currently a professor at the UW-Madison School of Medicine and Public Health, where he serves as director of research education and career development with UW-Madison’s Institute for Clinical and Translational Research. Schwartz was a member of the faculty of UW-Madison’s Department of Medicine in the 1980s and 1990s before serving as dean of the University of Illinois College of Medicine at Urbana-Champaign for 12 years. He returned to Madison in 2011. In addition to his administrative expertise and commitment to training and mentoring young clinical scientists through MD/Ph.D. programs at both universities, Schwartz is known for his research on blood clotting and bleeding disorders. James Dahlberg, interim CEO of the Morgridge Institute for Research and an emeritus professor of biomolecular chemistry at UW-Madison, said Schwartz was chosen after a nationwide search for someone with proven leadership skills, success in leading federal research and training programs, knowledge of translational medicine and a strong background in research. The Morgridge Institute for Research supports the university and works to improve human health by conducting, enabling and translating interdisciplinary biomedical research. Schwartz said the opportunity to work with the successful scientific teams at the Morgridge Institute provided a strong incentive to join the organization. 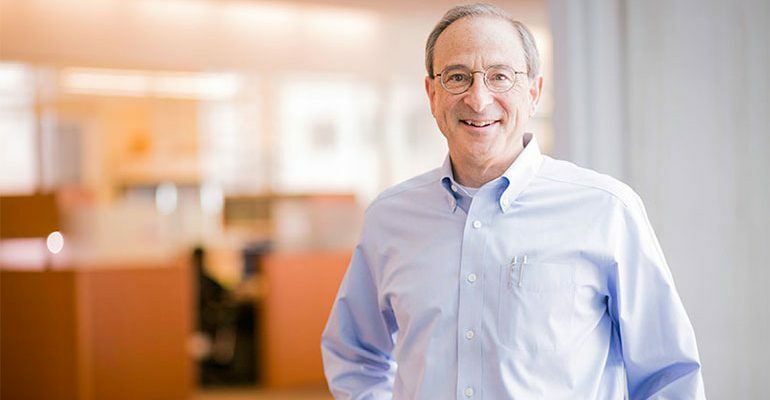 The appointment of Schwartz by the Morgridge Institute’s board of directors caps a series of recent successes for the institute, which began operations in the Wisconsin Institutes for Discovery building in December 2010. The institute now has 63 full- and part-time employees. In May 2012, the medical devices team was awarded a U.S. Department of Energy project worth $20.6 million, including federal and private funds, to develop a new method for producing the medical isotope molybdenum-99. In July 2012, the regenerative biology team led by stem cell pioneer James Thomson received a $2.2 million grant from the National Institutes of Health to develop human cellular models for predicting the neural toxicity of drug candidates. And in November 2012, the institute’s core computational technology team was awarded a $23.6 million grant from the U.S. Department of Homeland Security’s Science and Technology Directorate to improve cybersecurity through creation of the Software Assurance Marketplace. Carl Gulbrandsen, managing director of the Wisconsin Alumni Research Foundation, a founding partner of the Morgridge Institute for Research, congratulated Schwartz on his appointment and thanked Dahlberg for his service as interim CEO over the past nine months. “We look forward to working with Brad in further strengthening the collaborative relationships between the Morgridge Institute for Research and UW-Madison scientists. We’ve been extremely fortunate to have Jim’s leadership during this transition period,” Gulbrandsen said.